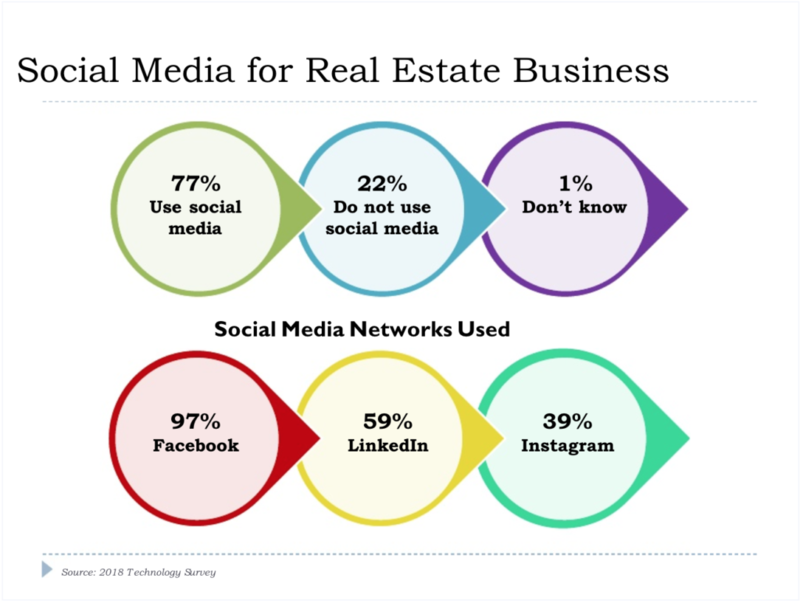 According to the National Association of Realtors, a whopping 97% of real estate agents use Facebook for their business. That’s really great as everyone should be able to spin up a page and brand themselves fairly well. The more surprising stat is that a dismal 16% of those real estate professionals are actually spending money on digital advertising. 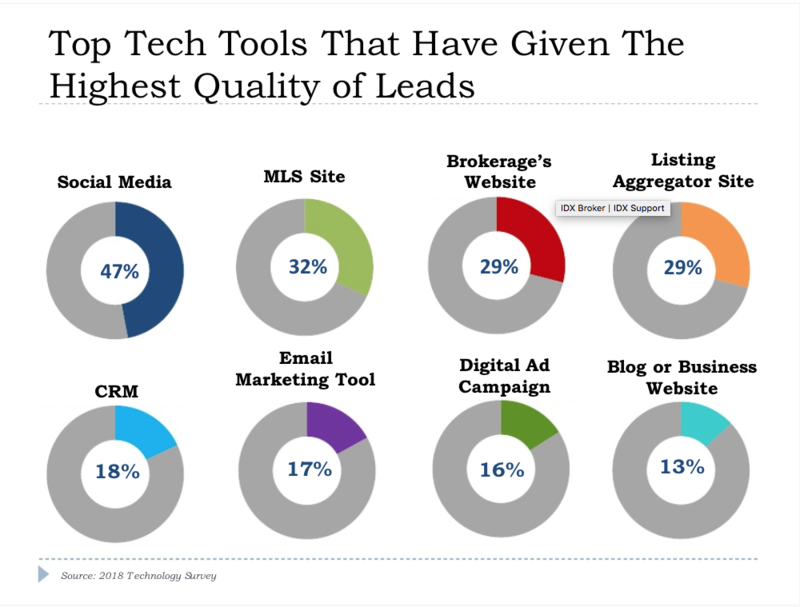 Sure, they may be all over social media—at 47%—but that’s not nearly all that is necessary if you want to truly ramp up your digital marketing presence and really generate quality leads online. Let’s talk about the 16% that are spending money on advertising. Although the source doesn’t explicitly explain, I’d reckon tiny digital ad spots are not really included in that 16%. I’m talking about the poorly written, unoptimized ads that you drop $30 every few weeks on. 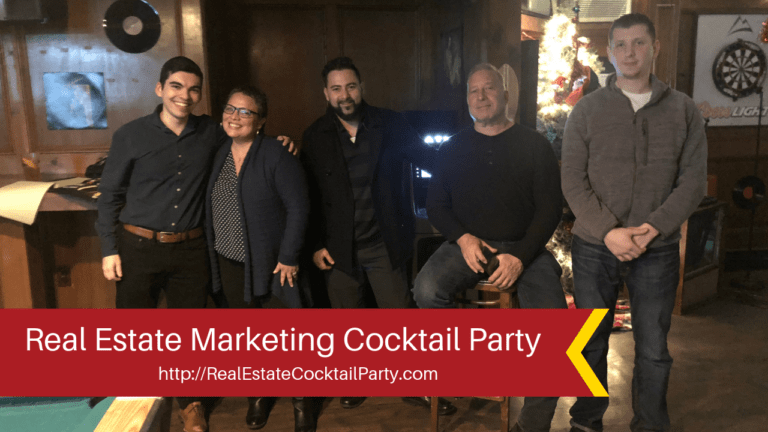 This post is for those people—who are unaware of the marketing strategy (or lack thereof) they’re implementing for tier real estate business. You know when you’re checking out at the supermarket and you find all these shiny last-minute objects you’re compelled to buy? Things like tabloid magazines, chocolate bars, maybe a pack of gum? What is their goal here? If you went shopping for a pack of gum, you might’ve gone to an outlet store to buy in bulk or went to a convenience store up the block. They know this and you know this—but you’re not thinking of it in the moment. They’re getting you on an impulse buy. 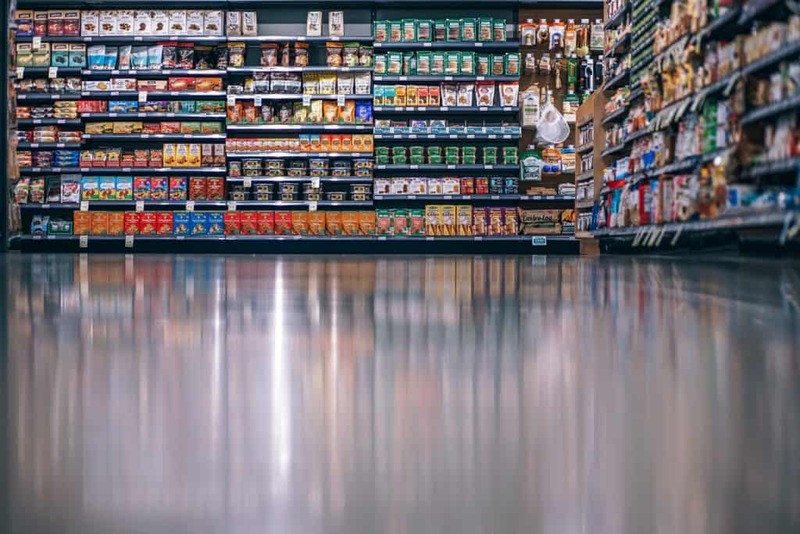 The supermarket wants you to be wandering your eyes around the counter while you’re waiting to check out so they can hit you with one more little up-sell before you finally pay and leave. The numbers here are staggering. So many people—myself included—are suckered into buying that one final thing so they can make just a tiny bit more money off of us. Cleary, that adds up and the grocery stores are making a killing off these tiny micro-transactions when all is said and done. Now, what is the difference between you buying that pack of gum there and when you go to an outlet store to buy in bulk, or even when you’re buying a larger pack from the correct aisle instead of on the checkout line? You’re a product of their marketing. You see the shiny object, you purchase it, and you’re seemingly happy with instant gratification. If you run a Facebook page for your real estate business, you encounter this same thing. 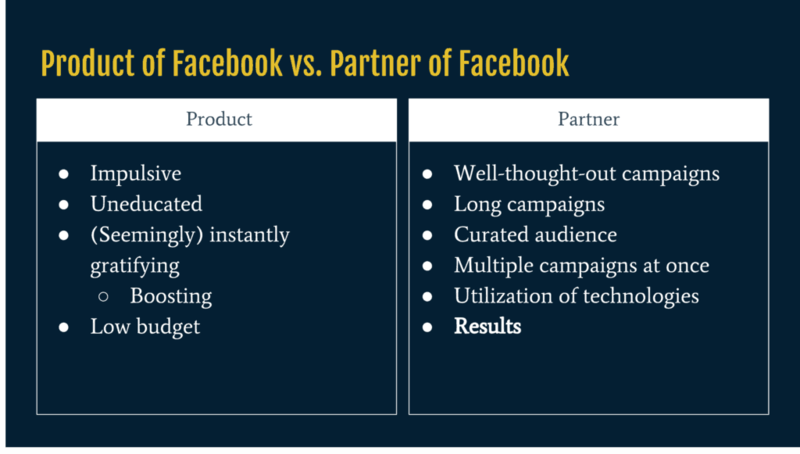 As we discussed on a slide during one of our meetups, there are clear signs that you’re either being taken advantage of by Facebook or if you’re truly leveraging them correctly so that everyone is benefiting. Keep in mind, these are arbitrary terms that aren’t actually any way Facebook identifies their users. 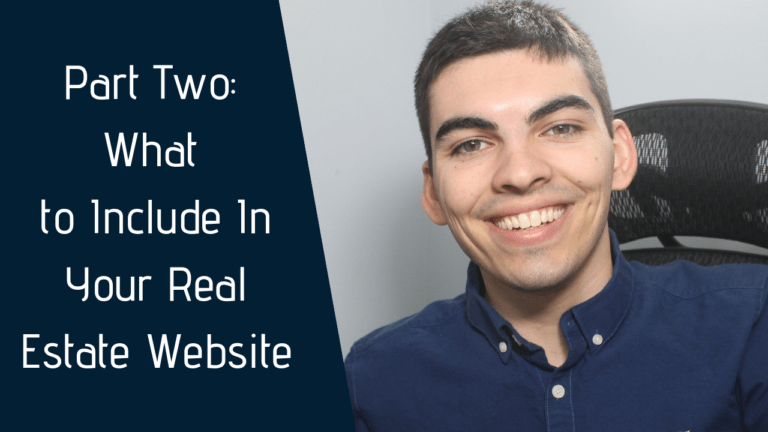 However, it’s a good way for you to reflect on your usage of the platform so you can determine where your money is being spent and if you’re actually leveraging Facebook for your real estate business properly. 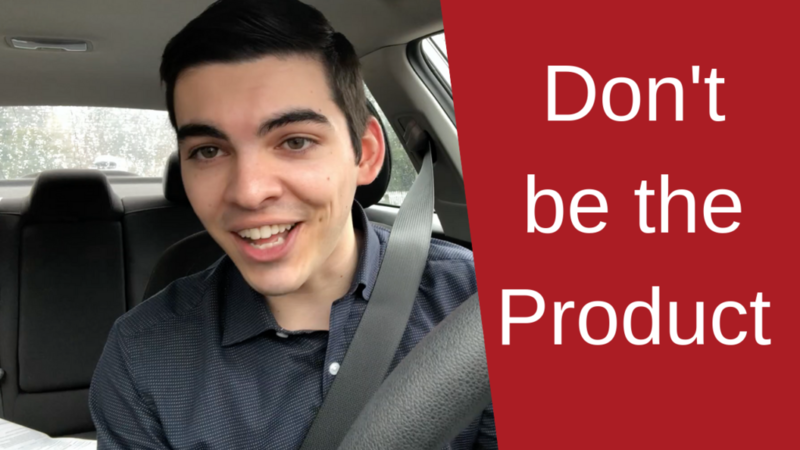 Spoiler: you want to be the partner, not the product. When Facebook throws an ad for your own page in your feed with a big shiny blue button saying, “Boost this post now to hit 30,000 more people!”. What might be your initial reaction? Wow! I can hit all these people by only spending $25 on this post I already created? Amazing—sign me up! This is the chocolate bar on the checkout line at the supermarket. This is Facebook wringing any money they can out of you for an instantly gratifying post which will ultimately lead to no return on investment. It’s foolish of us to fall into the trap especially as business owners who wouldn’t normally execute a marketing strategy without clearly defining how we’re going to make money from it in the long run. But, we all want to see our post get thousands of views and a few more likes, and those vanity statistics are enough to make many, many, people hit Boost. When Facebook is forcing boosting posts down your throat like this, they’re aware you’re not going to navigate to Ads Manager and actually implement a well-thought-out marketing campaign. Since you’re not going to spend real money on the platform—and, eventually, make real money on the platform—they’re going to get whatever they can out of you. In this case, that’s an impulsively purchased boosted post. This is the clearest case of you being the product of Facebook. They’re collecting your data to sell back to advertisers (as they do with all of us) but then they’re making more money on the back end of your page by selling you these nearly-worthless posts. How can we circumvent this? How can we stop feeding Facebook money for things that, sure, make our numbers rise a bit, but more importantly, make us more money? Impulsive: Like we discussed, if you’re boosting posts and falling into the marketing of ad copy that sounds like, “Reach 5,000 more people with only $30!” You’re making an impulsive decision with no clear strategy in mind. Uneducated: Without properly planning out your campaign and targeting just about anybody who may be in your area, you’re making uneducated marketing decisions. Facebook doesn’t mind this—they’re still making their $30. You should mind this. You’re not making anything off of it. Instantly gratifying: A solid marketing campaign doesn’t yield results overnight. It shouldn’t. 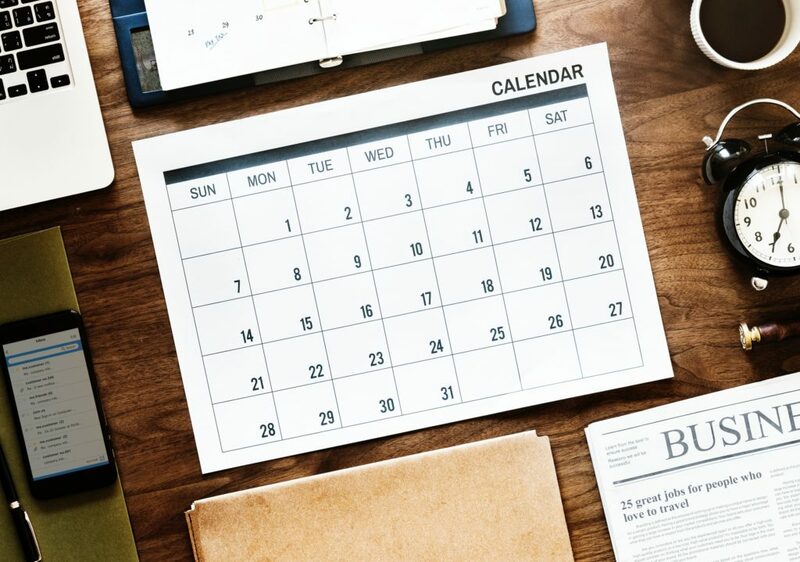 A well-though-out marketing campaign takes days, weeks, and even months to perfect. Boosting a post here and there every few weeks isn’t indicating you have a larger goal planned out. It indicates you’re looking for some likes and to satisfy your instant gratification. Low-budget: Of course, Facebook wants you to spend more money on their platform. Similarly, you should want to be spending more money on the platform as well because that would mean you’re making even more by doing so. When you’re dropping $30 every couple weeks on a boosted post or a poorly-written carousel ad, Facebook realizes that you’re not fully invested in the platform and it doesn’t give them much incentive to help your marketing. Just like any marketing strategy, you need to have a plan. Although Facebook won’t technically harm your marketing if you’re not devising a whole campaign, they will ultimately be unable to really help you make any real money or generate any quality leads if you’re not taking it seriously enough to run a real campaign. Figure out what you plan on accomplishing with each campaign, draw out how you plan on executing it, and implement it properly. When you do that—and do it well—Facebook will naturally reward you because you did your job. Facebook is only a platform for you to buy ads on. They’re not your personal marketing agency that’s going to do all the hard work for you. 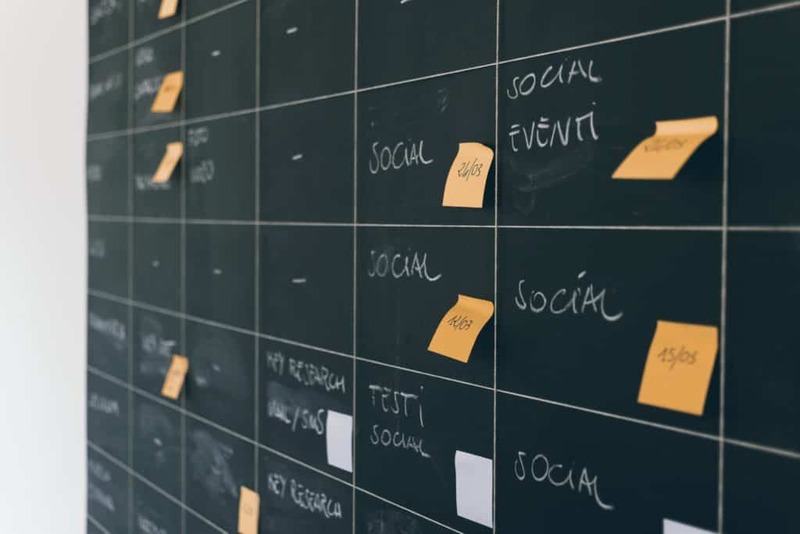 The longer your campaigns are running for, the more data you’ll have to work off of to create more effective campaigns. If you’re running one single ad for the new home you listed for only four days at $50, you’re not going to reach nearly enough people to get any quality data. Who was resonating with this ad best? Men, women, older people, younger people? If you’re casting a wider net, letting the ad drip into people’s feeds over the course of a few weeks rather than a few days, and tracking all of that performance, you’ll have no choice but to reflect on that data and optimize your ads. As a result, your ads will be more effective moving forward and you’ll have a better understanding of who your audience is—which brings us to the next point. One of the worst things you could do for your real estate marketing is targeting everyone and anyone who lives in an area. Do you really want to serve the same advertisement to a 90-year-old man and a teenage girl? I didn’t think so—so why are you doing that? When you target solely on zip codes, you’re not examining who will look at that ad besides where they are at that given moment. You may not even be filtering down to people who live at that location vs. people who are visiting that location. Create a large handful of different audiences that don’t really overlap. Ensure each audience has no fewer than 100,000 people in or else you’ll be serving your ad to too small a pool. Make an audience based on location, one on marital status, one on career, and some others based on interests or behaviors. Now that you have all these audiences to choose from, serve the SAME ad to everyone separately. After only a few days you’ll know which audiences are most receptive to the ad, which ones gave you the highest ROI, and which ones are giving you the highest quality leads. Again, when you’re serving your ads to anyone and everyone, your results will suffer and you’ll never succeed with Facebook marketing. Sure you do. I’m only asking that you drop a few bucks a day on each campaign. You’re not going to be constantly running 30 ads at all times. You have to figure out what is right for your business. If you have five active listings, you should have at least two ads for each listing. If you’re targeting four different counties for selling mortgages, you should have four separate campaigns for each one. When you’re diversifying your campaigns like this, you have a higher chance of something getting through to a potential lead. After someone sees the same ad four or five times, they’re probably burnt out and not likely to click through and become a lead. When they’re finding different content you’re serving and you’re proving that you’re relevant enough to be hitting them with different ads, they’ll be much more likely to say to themselves, “Hm, this person has put in a lot of effort into their marketing strategy; they must have the same resources for their listings—I should talk to them about my house I’m looking to sell”. Be careful, though, you don’t want to stretch your ad budgets too thin. At the end of the day, I’d rather you run a single ad at $10/day than 5 ads at $2/day. Just like when you give birth to a new child and plaster their photos all over the place, Facebook wants to make it known when they have a new feature. You may notice that posts that incorporate newer features get bumped up to the top of the feed. When you’re going live on video or sharing 3D photos, these posts are seen much more widely than your crumby text post asking people to call you for all their mortgage needs. The same thing goes for advertisements but in this case it saves you money. If your ads have video, incorporate location data, and include more fun features like polls and such, Facebook will essentially give you a discount on that ad. You’re showing off the new Facebook features. They want people to see the fun and interesting ways you can shop and interact with each post. When you’re paying for people to see that, Facebook rewards you by letting you know you’re posting relevant ads. You’re enhancing the Facebook experience for their users. Facebook cares about its users more than anything—more than you, more than advertisers, more than partners, more than anything. This is because if their users aren’t happy, they’ll spend less time on the platform and Facebook will have fewer people to serve ads to. When your ads incorporate a fun video that people may want to watch anyway, whether it was an ad or not, you better believe Facebook will increase the relevance score of that ad making it less expensive in the long run. Believe it or not, Facebook wants you to succeed. 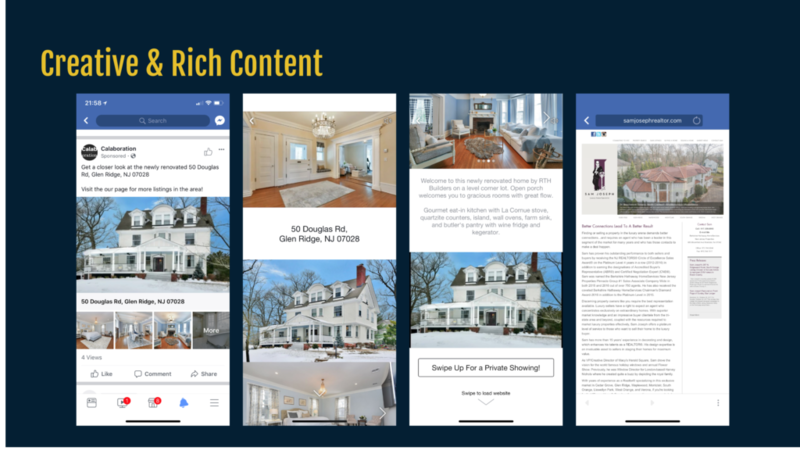 If you’re generating real estate leads and making money from Facebook ads—guess who’s going to spend more money no Facebook eventually? That’s right, you. If you’re not succeeding and only throwing some things at the wall every now and again to see what sticks, you’re not going to come back to Facebook to advertise and they’re going to resort back to grabbing $30 from you for a boosted post because you couldn’t handle the big leagues of advertising. Succeed with Facebook marketing and you’ll only be feeding yourself with more opportunity to leverage the platform to make even more money. At the end of the day, Facebook wants you to succeed, you want to succeed, and everybody wants to reach more people and make more money. 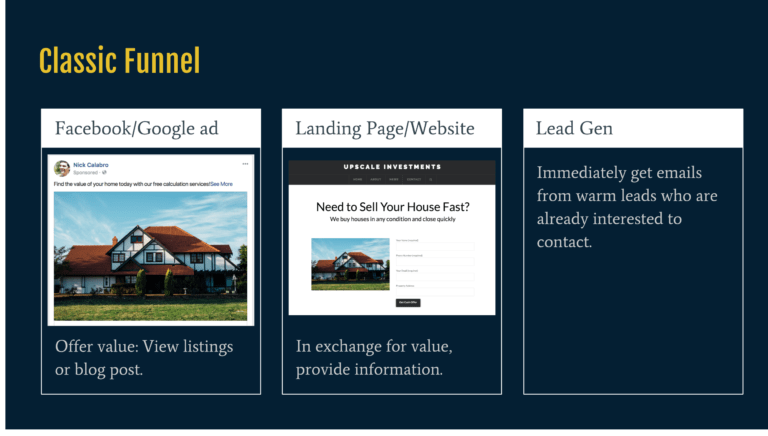 The way to do this is to plan out your marketing strategy, advertise correctly, and build a platform that grows and scales with your real estate business. ⚠️ To receive the free training that’ll show you exactly how to implement this today without wasting any time and seeing results in just one month, register here now!